In this tutorial, you perform an ETL (extract, transform, and load data) operation by using Azure Databricks. You extract data from Azure Data Lake Storage Gen2 into Azure Databricks, run transformations on the data in Azure Databricks, and then load the transformed data into Azure SQL Data Warehouse. The steps in this tutorial use the SQL Data Warehouse connector for Azure Databricks to transfer data to Azure Databricks. This connector, in turn, uses Azure Blob Storage as temporary storage for the data being transferred between an Azure Databricks cluster and Azure SQL Data Warehouse. 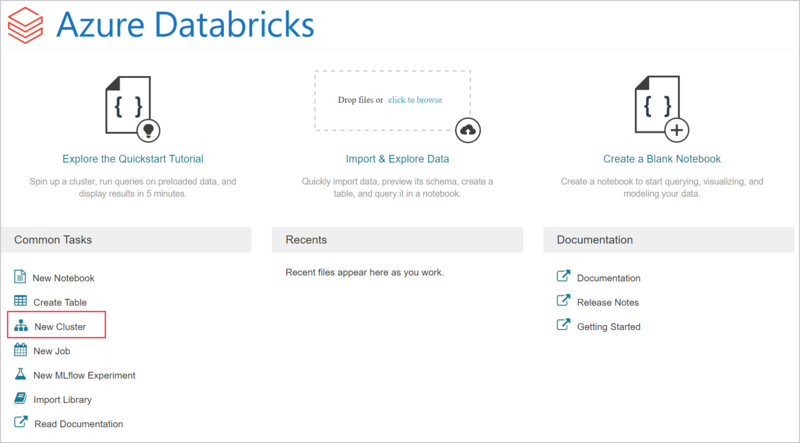 Create an Azure Databricks service. Create a Spark cluster in Azure Databricks. Create a file system in the Data Lake Storage Gen2 account. Upload sample data to the Azure Data Lake Storage Gen2 account. Extract data from the Azure Data Lake Storage Gen2 account. Transform data in Azure Databricks. Load data into Azure SQL Data Warehouse. Create an Azure SQL data warehouse, create a server-level firewall rule, and connect to the server as a server admin. 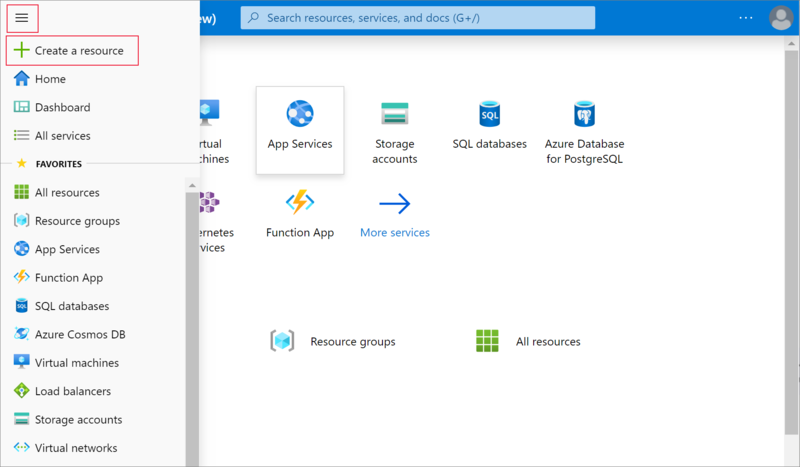 See Quickstart: Create an Azure SQL data warehouse. Create a database master key for the Azure SQL data warehouse. See Create a database master key. Create an Azure Blob storage account, and a container within it. Also, retrieve the access key to access the storage account. 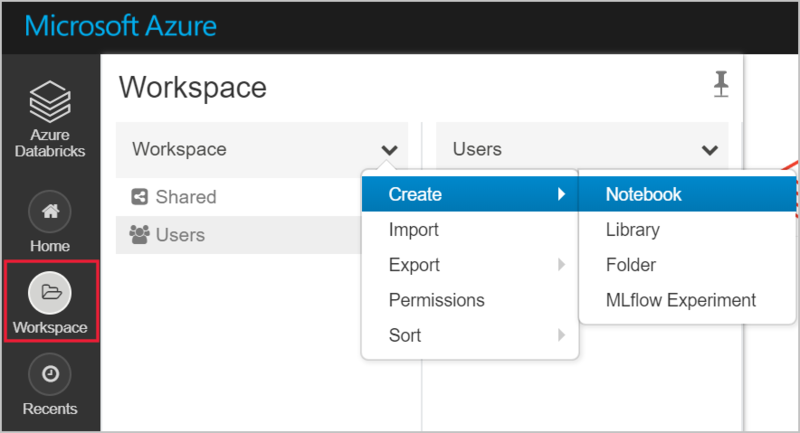 See Quickstart: Create an Azure Blob storage account. Create an Azure Data Lake Storage Gen2 storage account. See Create an Azure Data Lake Storage Gen2 account. Create a service principal. See How to: Use the portal to create an Azure AD application and service principal that can access resources. There's a couple of specific things that you'll have to do as you perform the steps in that article. When performing the steps in the Assign the application to a role section of the article, make sure to assign the Storage Blob Data Contributor role to the service principal. Make sure to assign the role in the scope of the Data Lake Storage Gen2 storage account. You can assign a role to the parent resource group or subscription, but you'll receive permissions-related errors until those role assignments propagate to the storage account. When performing the steps in the Get values for signing in section of the article, paste the tenant ID, application ID, and authentication key values into a text file. You'll need those soon. Make sure that you complete the prerequisites of this tutorial. ✔️ The database name, database server name, user name, and password of your Azure SQL Data warehouse. ✔️ The access key of your blob storage account. ✔️ The name of your Data Lake Storage Gen2 storage account. ✔️ The tenant ID of your subscription. ✔️ The application ID of the app that you registered with Azure Active Directory (Azure AD). ✔️ The authentication key for the app that you registered with Azure AD. In this section, you create an Azure Databricks service by using the Azure portal. In the Azure portal, select Create a resource > Analytics > Azure Databricks. Workspace name Provide a name for your Databricks workspace. Location Select West US 2. For other available regions, see Azure services available by region. The account creation takes a few minutes. 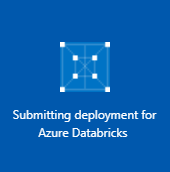 During account creation, the portal displays the Submitting deployment for Azure Databricks tile on the right. To monitor the operation status, view the progress bar at the top. In the Azure portal, go to the Databricks service that you created, and select Launch Workspace. You're redirected to the Azure Databricks portal. From the portal, select Cluster. For this article, create a cluster with the 5.1 runtime. Make sure you select the Terminate after __ minutes of inactivity check box. If the cluster isn't being used, provide a duration (in minutes) to terminate the cluster. 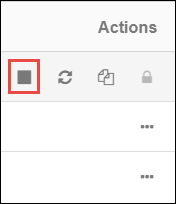 Select Create cluster. After the cluster is running, you can attach notebooks to the cluster and run Spark jobs. In the Azure portal, go to the Azure Databricks service that you created, and select Launch Workspace. On the left, select Workspace. From the Workspace drop-down, select Create > Notebook. In the Create Notebook dialog box, enter a name for the notebook. Select Scala as the language, and then select the Spark cluster that you created earlier. Copy and paste the following code block into the first cell. In this code block, replace the application-id, authentication-id, tenant-id, and storage-account-name placeholder values in this code block with the values that you collected while completing the prerequisites of this tutorial. Replace the file-system-name placeholder value with whatever name you want to give the file system. The application-id, and authentication-id are from the app that you registered with active directory as part of creating a service principal. The tenant-id is from your subscription. The storage-account-name is the name of your Azure Data Lake Storage Gen2 storage account. Press the SHIFT + ENTER keys to run the code in this block. In the cell, press SHIFT + ENTER to run the code. You can now load the sample json file as a data frame in Azure Databricks. Paste the following code in a new cell. Replace the placeholders shown in brackets with your values. Replace the file-system-name placeholder value with the name that you gave your file system in Storage Explorer. Replace the storage-account-name placeholder with the name of your storage account. You have now extracted the data from Azure Data Lake Storage Gen2 into Azure Databricks. The raw sample data small_radio_json.json file captures the audience for a radio station and has a variety of columns. In this section, you transform the data to only retrieve specific columns from the dataset. 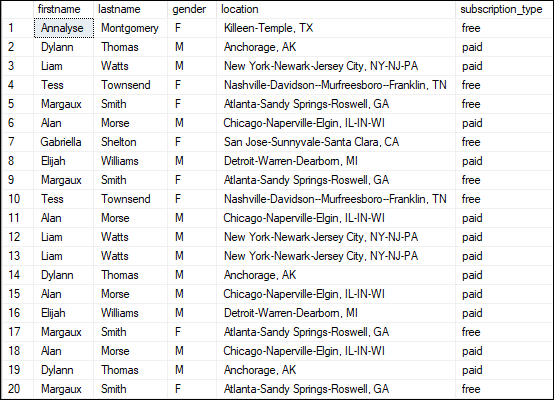 First, retrieve only the columns firstName, lastName, gender, location, and level from the dataframe that you created. You can further transform this data to rename the column level to subscription_type. You receive output as shown in the following snippet. In this section, you upload the transformed data into Azure SQL Data Warehouse. You use the Azure SQL Data Warehouse connector for Azure Databricks to directly upload a dataframe as a table in a SQL data warehouse. As mentioned earlier, the SQL Data Warehouse connector uses Azure Blob storage as temporary storage to upload data between Azure Databricks and Azure SQL Data Warehouse. So, you start by providing the configuration to connect to the storage account. You must already have already created the account as part of the prerequisites for this article. Provide the configuration to access the Azure Storage account from Azure Databricks. Specify a temporary folder to use while moving data between Azure Databricks and Azure SQL Data Warehouse. val tempDir = "wasbs://" + blobContainer + "@" + blobStorage +"/tempDirs"
Run the following snippet to store Azure Blob storage access keys in the configuration. This action ensures that you don't have to keep the access key in the notebook in plain text. Provide the values to connect to the Azure SQL Data Warehouse instance. You must have created a SQL data warehouse as a prerequisite. val sqlDwUrl = "jdbc:sqlserver://" + dwServer + ":" + dwJdbcPort + ";database=" + dwDatabase + ";user=" + dwUser+";password=" + dwPass + ";$dwJdbcExtraOptions"
Run the following snippet to load the transformed dataframe, renamedColumnsDF, as a table in a SQL data warehouse. This snippet creates a table called SampleTable in the SQL database. Connect to the SQL database and verify that you see a database named SampleTable. Run a select query to verify the contents of the table. The table should have the same data as the renamedColumnsDF dataframe. After you finish the tutorial, you can terminate the cluster. 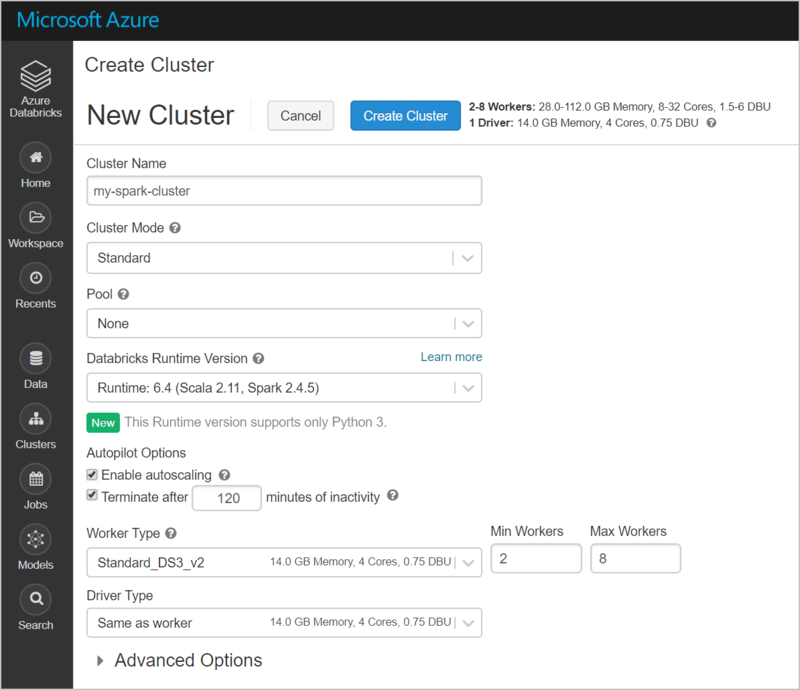 From the Azure Databricks workspace, select Clusters on the left. For the cluster to terminate, under Actions, point to the ellipsis (...) and select the Terminate icon. If you don't manually terminate the cluster, it automatically stops, provided you selected the Terminate after __ minutes of inactivity check box when you created the cluster. In such a case, the cluster automatically stops if it's been inactive for the specified time. Advance to the next tutorial to learn about streaming real-time data into Azure Databricks using Azure Event Hubs.